Herring Gull CP.AX 2cy (argenteus), July 15 2009, Boulogne-sur-Mer, France. Picture: J-M Sauvage. 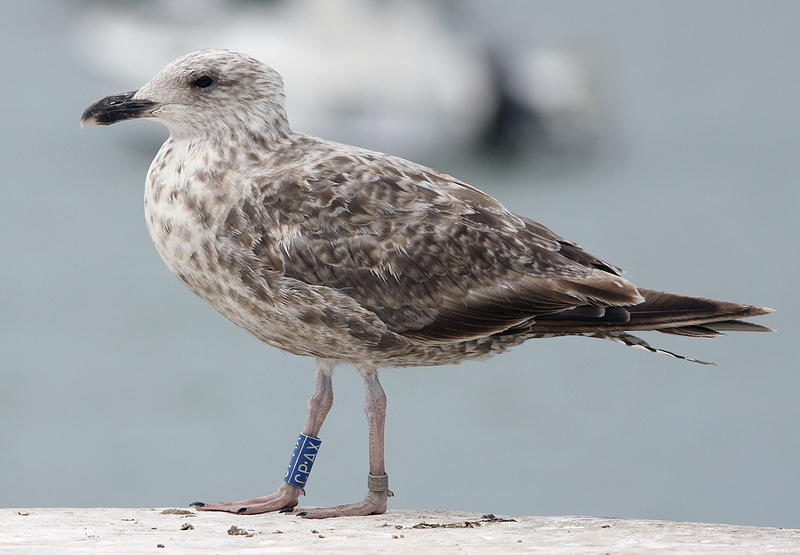 Bird ringed at Zeebrugge, Belgium, 14 July 2008. Complete moult halfway: P5/P8. Central gc missing. Note two old central mc; the last to be replaced in this row.